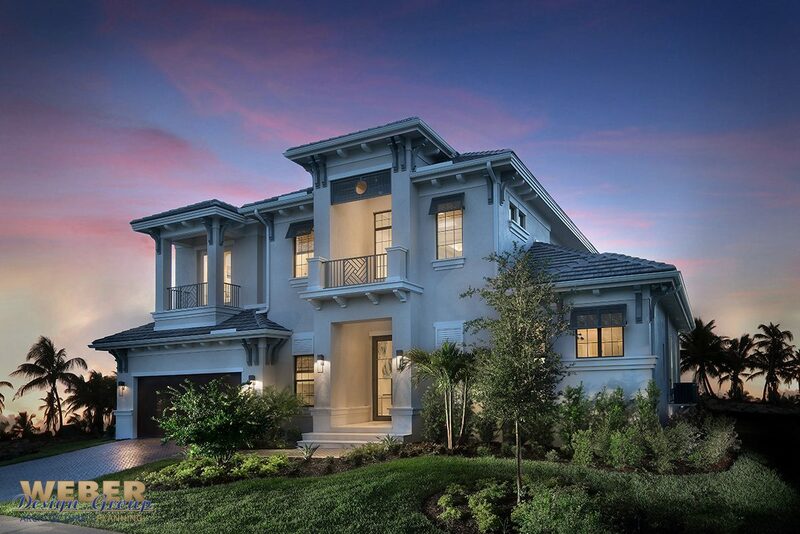 The front façade of this two-story West Indies style model home built by Stock Development on Marco Island incorporates clean lines accented by classic Caribbean elements such as bahama shutters, and decorative outlookers. The entry system soars above the second floor which features two-balconies adorned with herringbone railings. 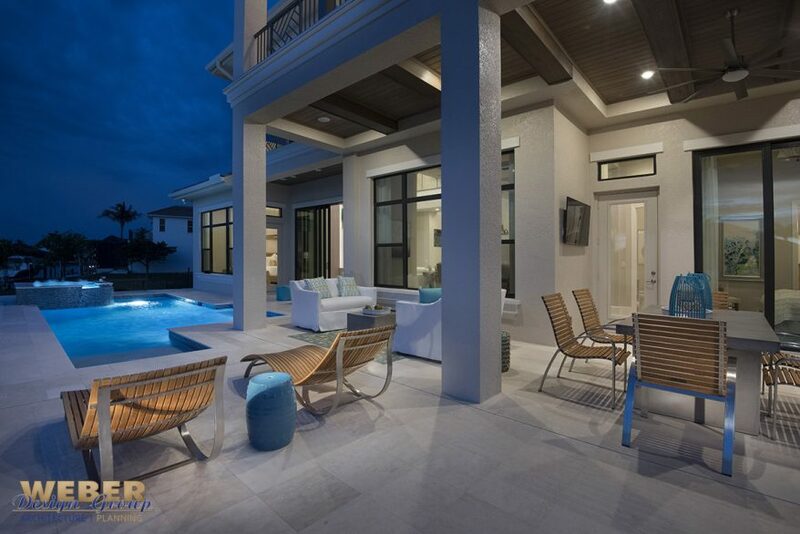 The four-bedroom home with four and one-half baths boasts a total area of 5,670 square feet, 1,066 of which makes up the outdoor living spaces. 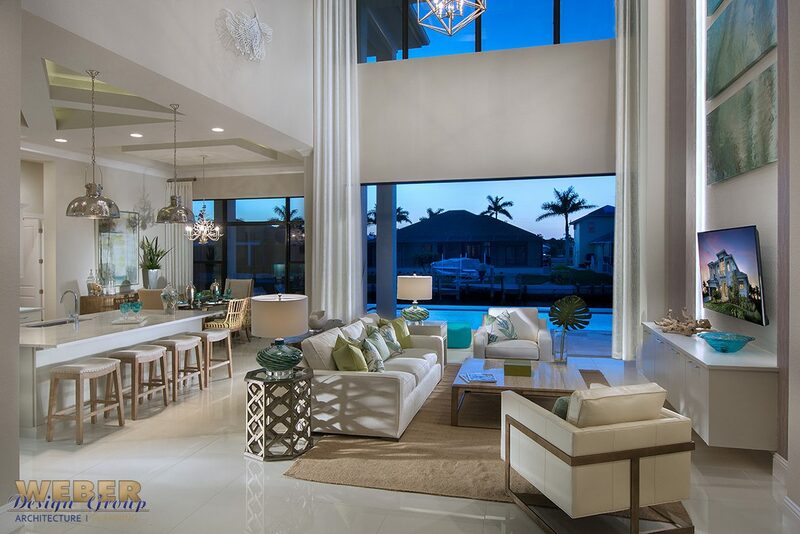 Inside the home, the welcoming foyer opens up to the great room where the eye draws upward taking in the impressive two-story room. From there, an expansive set of pocketing glass doors under a large transom window provide an uninterrupted view of the water and allow a seamless flow to the large outdoor living area. 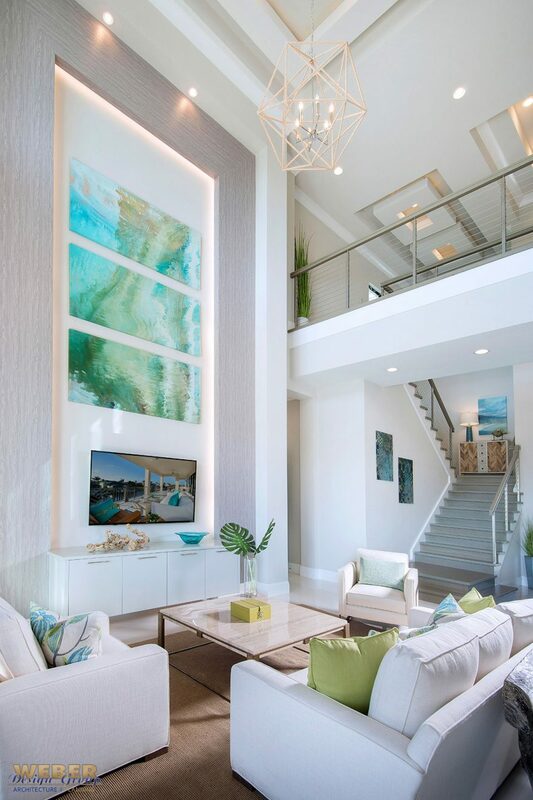 In the great room, a grand custom media wall tall enough to incorporate a floor to ceiling piece of artwork is the focal point. 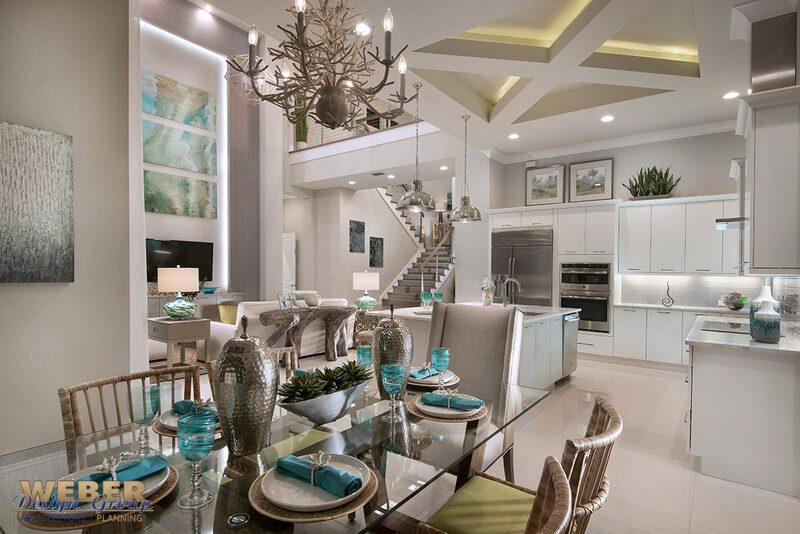 Nearby, the open-concept island kitchen and adjacent dining room, each delineated by a unique ceiling design, combine with the great room to create a casual space for entertaining comfortably. 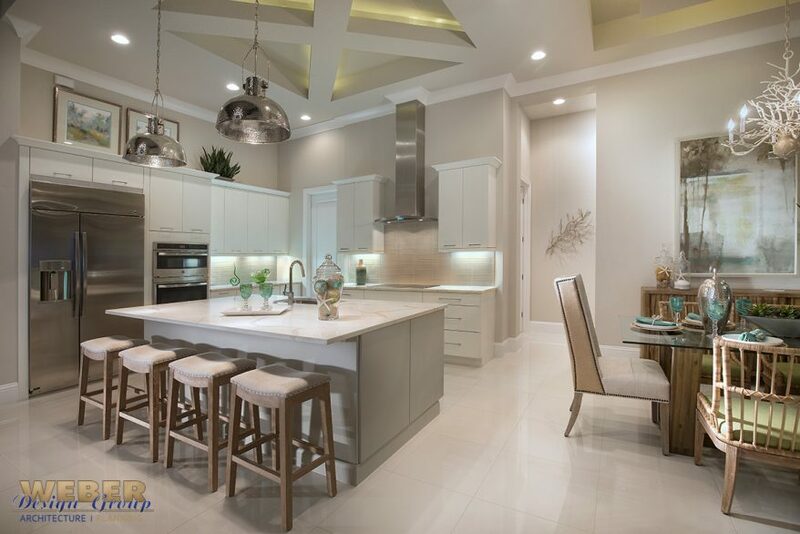 The luxurious master suite resides on the first floor, along with a powder room, mud room, covered lanai with outdoor kitchen, and the oversized two-car garage. Upstairs are three additional bedroom suites, one with a private balcony, a loft space with a wet bar, and a huge covered balcony that overlooks the pool.